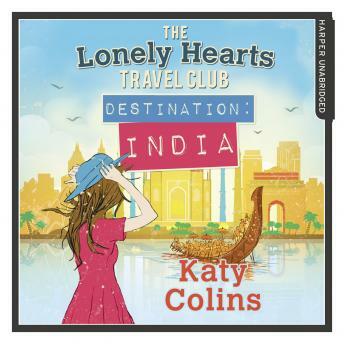 Starting the Lonely hearts Travel Club was supposed to be the second chance that gave Georgia Green back her life. She thought it would be just like travelling, but the reality is far from rosy as she realises that starting a new business is definitely not a beach! So when Georgia finds herself on an impromptu work trip to India she knows something's got to give! Where has the girl gone who fought so hard to rebuild her life? The land of Bollywood, gorgeous beaches and the Taj Mahal might just hold the key to Georgia finding her stride again... Only she is about to find out that when in India the country calls the shots - not you. But Georgia's not going down that easy! Join Georgia Green for her next big adventure in Bollywood! The new favourite series for fans of Bridget Jones's Diary, the Shopaholic series and Eat, Pray, Love. Don't miss the next book in The Lonely Hearts Travel Club series Destination Chile available to preorder now!